How many of you received a nice, shiny computing device for Christmas? What did you do with the old one? I am certainly not one to judge, as I have bought a few computers in my time. However, I dispose of and recycle my computers responsibly, or at least attempt to extend their lifespan as long as I can by adding new components. This post was originally published in December 2008, and is even more relevant today, now that our lives are surrounded by electronic devices. Electronic waste or e-Waste as it is known, is becoming a massive problem in global landfills. PC’s as well as most consumer electronic goods contain many heavy metals such as lead, mercury and cadmium, as well as chlorofluorocarbons and brominated flame retardants, which can seep from landfills into water supplies or waft from incinerators into the atmosphere. We now know that consumer electronics will leach, can leach, and do leach into the the water table. This contamination can last for many thousands of years and have dire health effects and consequences to all living things. Cute video, but this is only one aspect. So how do we fix the issue of eWaste? Well I can think of four straight up. Reduce – reduction comes to mind straight off the bat. Do you really need three TV’s and DVD players in your home. How many can you watch or use at once? When an item of consumer electronics breaks, ask yourself if you really need to replace it. Is it a want or a need? Repair – when something does break, think about repairing the item. 4 weeks ago, my Surround Sound AV receiver broke and wouldn’t power on. My first thought was to check out the latest models, but my green heart then took over and whispered otherwise. I began looking for repair centres in my local area and found that the closest was in Ballarat, some 70km away. I had a couple of financial options at the repair centre. I could pay $30 up front and then get a repair quote to see if the item was worth repairing, or I could just go ahead and get it fixed and damn the expense. I chose the first option! After about a week the repair dude called back and said it would cost about $100 to fix the amp. What a bargain, as a new one would have cost anywhere from $500 to $2000 depending on how crazy you went. I asked the guy to proceed, and within a few weeks it was repaired and it now works like a bought one. The bill came to $102! It is well worth doing for major electronic goods, and I feel good for taking the time to fix the broken item. Reuse – specifically with PC’s, upgrading is a viable option, as shown in the video above. By simply doubling the RAM in your PC, you will see a dramatic increase in performance. If you are running low on storage, ask your local PC’s expert if you can install larger hard drives in your PC. Large capacity drives are relatively inexpensive these days, and can be installed quickly and easily. I have had my PC for 4 years now, and have upgraded the video card, RAM and hard drives. Instead of placing the old equipment into land fill, I sold them on eBay for someone else to get good use out of. All the kids have hand-me-down PC’s that I have acquired over the years, and it suits them just fine. The only PC’s that I intend to buy in future years are greener models like laptops or notebooks that have had the nasty metals designed out of them. They also consume about 75% less energy than a desktop PC does. Recycle – recycle old consumer electronics, don’t just throw them in the bin. 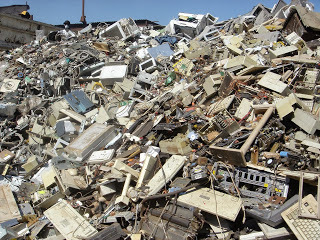 There are many PC and electronic recyclers out there. Even my local recycling centre takes electronic goods, but there are dedicated PC recyclers in most major cities. By using these facilities, you are diverting these goods, and therefore the harmful heavy metals as listed above, out of landfill and keep our water and air cleaner for future generations. So do yourself and the planet a favour and love the one you’re with! Well dear reader, it is that time of the year once again where we look back on the year that was. Now as I back up all of my photos to Google+, they have a feature that creates a nice, short video of some of the highlights of the year. Enjoy this short photo montage capturing some of the years events. I think you will agree that it has been a busy one, but none the less, full of fun and laughter whilst getting on with our never ending journey to achieve a more sustainable lifestyle. Originally published in October 2010, this post went on to inspire many to start saving their own vegetable seeds. It is one of the most frugal acts of gardening! Wouldn’t it be really cool if you didn’t have to buy vegetable seeds ever again? Well, you can, with a little bit of knowledge and practice. Seed saving for the crop next season is fun and very cheap, and the beauty of it is that you can begin to adapt plant varieties to become conditioned to your climate. I have tried seed saving with mixed success, so in this post I will try and explain how I have achieved at least a few successes and what I have learned along the way. So far I have managed to save quite a few types of vegetables using a few different methods. 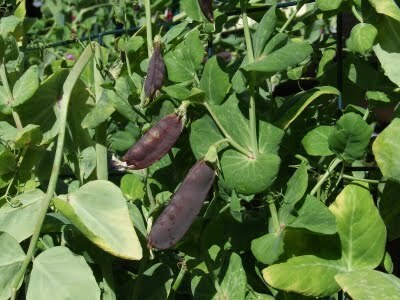 The first type of seed that I tried to save was purple podded peas. It was simple enough to decide which plant was the largest and had the biggest pods. So after I harvested the other plants, I left this one to dry out so that I could collect the seeds. If you are expecting lots of rain, it is probably best if you pull the plant when it is just going dry and hang it upside down, out of the weather. Once the pods were dry, I took out the seeds and stored them in an airtight glass jar. I have been successfully growing purple podded peas using this method for 3 years now. Looking back, it is hard to believe that I only bought a $2.50 packet of 25 seeds in the first place and besides the seeds I have saved, we have had many pea feasts as well! This drying on the bush method is also good for all types of beans, and I have collected Daikon radish seeds in this manner as well. For smaller, more delicate seeds, I have let the desired plant flower and set seed. Just before it begins to dry out, I put a brown paper bag over the seed head and tied it off with a rubber band. When the seed heads dry the seeds fall into the bag, and all you have to do is label and store them in a dry, cool place for next seasons planting. I have used this method with lettuce, silverbeet, rainbow chard, onions, leeks, radishes, carrots, parsnips, parsley, dill, and basil. All of these types of plants usually self pollinate so you will not have too many problems with cross pollination. These vegetables will usually stay ‘true to type’, that is, this generation of the plant you harvested seed from will be mostly the same as you will get in the next generation. Another method of saving seed are by tuber. For example potatoes, sweet potato, Jerusalem artichoke and yacon to name a few. You harvest the best looking tubers and store them in a hessian bag in a dark, dry place for sowing in the next season. Garlic is another of my favourites and easy to save for planting in the next season. 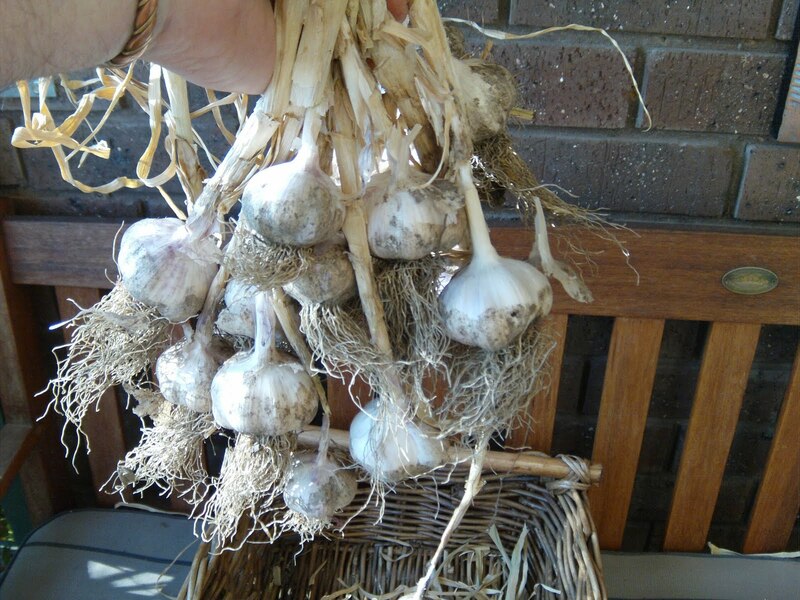 Keep a few bulbs from your crop (the larger the better), and when it is time to plant garlic in your part of the world, simply pull apart the bulb and plant single large cloves, pointy end upwards about 20cm appart. A new bulb will grow around the clove and you will never be without garlic ever again! Use the smaller inner cloves for cooking as you will end up with very tiny bulbs of garlic at the end of the season. Sometimes you don’t even need seeds to grow another plant. You can take a cutting and stick it into some moist seed raising mix or some loamy soil and most of the time it will strike roots and continue to grow a clone of the parent plant. I have successfully propagated tomatoes, all types of herbs, eggplants (aubergine), and capsicum (bell peppers) using this method. You can buy root hormone powder to enhance your success rate, however I find that most cuttings usually strike roots and I have about a 80-90% success rate. Sweet corn or maize is another easy vegetable to save seeds from if you use heirloom varieties. Let the cob dry out on the plant and then remove the outer husk and then with a twisting motion with your hands around the cob, the seeds usually just fall off. I make sure that I have a large bowl or tea towel underneath to catch the kernels when I husk corn cobs. I then store them in a glass jar in a dark place until required. I have only saved popping corn using this method, but I dare say it would work with any type of corn. Remember that corn is pollinated by the wind and I read that to keep the strain pure you need at least 500 metres between varieties. Let hope your neighbour isn’t growing corn at the same time! Collecting seeds from the cucurbit family may look as easy as scooping the seeds out of a cucumber, pumpkin, squash or zucchini, and letting them dry on paper towel, however there are a few things you must know so that you get true to type seeds for next season. 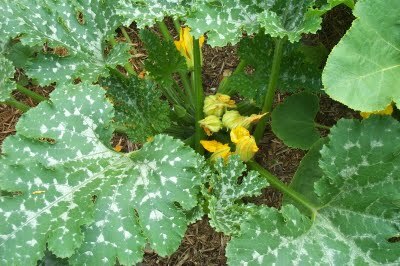 The cucurbit family readily cross pollinate when nearby, and each variety does not care where the pollen comes from as long it is from its own family. Each plant also has a male flower and a female flower. You can identify the female flower because it has a small swelling at the base which when pollinated becomes a fruit. The flowers only live for one or two days and open at down so that the bees can spread the pollen from male to female. One book I read recommends that you plant each variety of cucurbit at least 400 metres apart to stop cross pollination, but you can also hand pollinate to control the exchange of pollen. This is done by protecting the flowers from insects or wind whilst the female flower is receptive. Firstly select male and female flowers the evening before they are due to open. You can tell this because they will be rigid and have some yellow on the seams of the closed bud. Close each flower with a rubber band or some masking tape or wrap the entire flower in some pantihose and tie it at the stem so no insects will be able to get at the flower at first light. In the morning cut the male flower off at the base of its stalk and take off the petals to expose the male part. Open the flower and rub the male part into the female part. You could use a few different male flowers from the same species to imitate the way a bee pollinates, but I have found that this was not necessary when I did it..
After the pollen is well coated on the female part, shut or cover the female with pantyhose again until the flowers wither. Make sure you put a tag around the stem of the plant so that as it grows bigger you know that it is a keeper. You could also write on the skin with a waterproof maker pen as I did. Tell everyone in your family not to pick it either or you may end up loosing your carefully hand pollinated treasure. Before harvesting the fruit, make sure it is a big as it can possibly be so that it will ensure that you have very plump seeds. Store the ripe fruit for a few weeks before opening and collecting the seeds. Dry and store in a brown paper bag in a dry, cool position. Tomatoes don’t cross pollinate readily and are self pollinating, however to almost guarantee (there are no full guarantees in gardening) a true to type seed keep each row of different varieties at least 3 metres apart. Allow the fruit to ripen to just beyond eating and then cut them open and squeeze the seeds and pulp into a jar. Add a little water and label the jar and leave in a warm place for a few days. A foam will form on top so scoop it off, add more water and pour the mixture through a sieve. Wash until the seeds are clean. Spread them on sheets of kitchen towel and let dry. I then peel them off the towel and put in envelopes for next season. 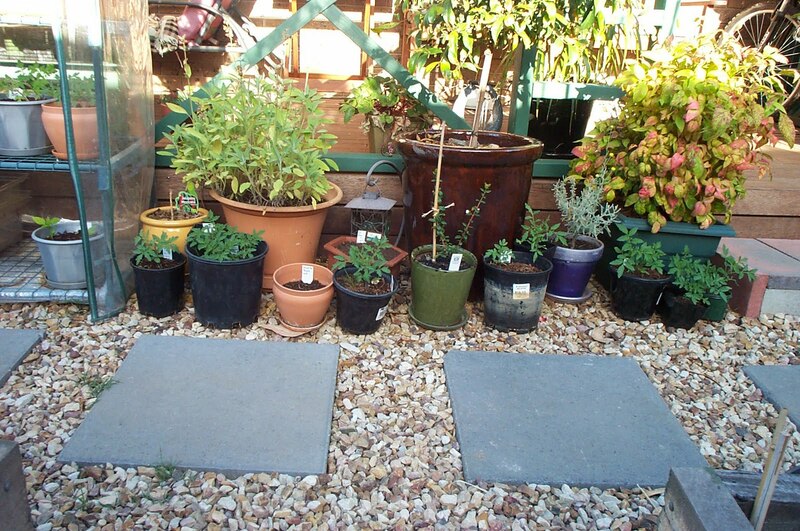 I have been using the original Tigerella seeds I collected in 2007 for many years now and they still germinate well. Of all the seed saving methods, the simplest is what I call the ‘volunteer’ method. I usually find that as the weather warms up in spring, I get so many tomato seedlings growing in the beds that I had tomatoes planted in them in the year before. I just scoop out the seedling with a bit of soil still around the roots and then re-pot so that they grow a bit stronger before transplanting them into a different bed for crop rotation. It is a bit of a lucky dip, but if you use heirloom seeds each year or collect your own, then there is no reason you can’t liberate these volunteers so that they provide you with a bumper harvest. Last year ever single tomato plant that I grew was a volunteer as the seeds I tried to grow got waterlogged in a downpour and I lost the lot. I had a massive crop of all different types of tomatoes. Well that is about all I have achieved in my seed saving, but I am quite proud of the types of plants I have continued to save seeds from especially the cucurbits. It certainly has saved me a lot of money, and I feel that these plants are beginning to adapt to our dryer climate. Humans have been saving seeds for thousands of years, so why not give it a go. I am sure you will reap a bumper harvest from the seeds you collect! Do you collect your own seed? Do you use a different method?